Looking for deals in New York? Featuring a terrace, MADE Hotel is set in New York, 600 metres from Empire State Building. This 4-star hotel offers a bar. Free WiFi and a 24-hour front desk are featured. The kouign amanss were AMAZING! I am going to try and make them!! 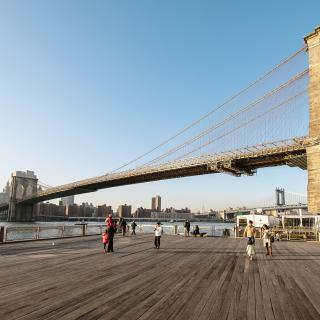 The Beekman, a Thompson Hotel is located 500 metres from the Brooklyn Bridge and the Westfield World Trade Centre. We just got married at the Thompson Toronto and we were so happy with everything! So when it came time to decide where to stay for our "mini-moon" it obviously had to be another a Thompson property. The Beekman just blew us away! When we arrived to check in they upgraded us to the Studio Suite which was bigger any other hotel room I've every stayed at in NYC! No detail has been overlooked and the hotel is just oozing with vintage gorgeousness. Walking in to the Beekman is like being transported to another time and place and I loved every second of our stay there. The neighbourhood itself is wonderful and just a quick walk to the Brooklyn Bridge. It's hands down my favourite hotel in the city and will undoubtedly being coming back again and again! Featuring spectacular views of the skyscrapers and bridges of New York City, this hotel is located in the Lower East Side neighbourhood of Manhattan. The decor is genuine and feels hand crafted. Located right in the heart of Manhattan, this hotel is just 1 minute's walk from Times Square and within 5 minutes' walk of Central Park and Columbus Circle. Beautiful room with wonderful view! Situated in the Lower East Side district in New York, citizenM New York Bowery is minutes away from the nightlife and restaurants of Bowery. Great value for money! Very functional and comfortable. Featuring an open-air Moroccan-tiled courtyard, this 14 room boutique hotel is located in Manhattan's SoHo neighbourhood. Free WiFi access is available. The Broome hotel is definitely one of the best hotels I’ve ever stayed. With 2000 pieces of artwork on display and an atrium, this all-suite property is located 500 metres from the World Trade Centre. Beautiful hotel, excellent location. Loved everything about it. Located in the NoMad neighborhood, this boutique New York City hotel is within 10 minutes’ walk of Union Square Park and Chelsea. There is a rooftop garden and free Wi-Fi. The boutique intimacy with warmth and great service. CITY ROOMS NYC - Times Square is situated in the Hell's Kitchen district in New York, 250 metres from Restaurant Row. All rooms come with a flat-screen TV and free WiFi. Excellent, modern hotel in the heart of manhattan. Located 400 metres from Restaurant Row in New York, Pod Times Square features a restaurant, bar and free WiFi throughout the property. Rooms are equipped with a flat-screen TV. Great hotel in good location. Great value for money. Clean. Friendly staff. Featuring a rooftop garden terrace, Cassa Hotel Times Square offers free WiFi access in New York, 1 km from Times Square. Room is nice and functional. Hoteliers are friendly! 32 32 Hotel boasts privileged central location in New York City, only 300 metres from the Empire State Building and 2 km from Grand Central Station. Free WiFi access is available. Perfect location, accessible by foot. Featuring a restaurant, a lounge and a seasonal rooftop bar, this hotel is 483 metres from Grand Central Terminal. All rooms are equipped with free WiFi. Best bed I’ve slept in. The rooftop bar is great, with some excellent views. Located less than 1 km from Penn Station, this Manhattan hotel features a chapel and a dining room. Chelsea Market is 10 minutes’ walk. Free Wi-Fi is available throughout the property. Great location, very polite,friendly and positive personal. Located at the juncture of Columbus Circle and Broadway, this 5-star hotel is minutes from Central Park. It features Jean Georges and Nougatine restaurants and the rooms provide kitchenette... Loved the personal attention from your staff and the great layout of our suite! Offering a restaurant and a fitness centre, 1 Hotel Central Park is located in New York. Each room here will provide you with air conditioning and a seating area. A hotel with a conscience. Green, organic and pet friendly. Very zen. Centrally located in Midtown Manhattan on Fifth Avenue, this hotel is across from the Grand Army Plaza and Central Park's main entrance. It features on-site dining and free Wi-Fi. Friendly staff. Spacious accommodation. Located in New York City’s Times Square, this hotel features a fitness centre and offers ticket services. Free WiFi is offered. Excellent staff, couldn’t do enough for you. The Pierre, A Taj Hotel is located across from Central Park at 61st Street. A part of the New York City skyline with its copper mansard roof, The Pierre offers guests white glove luxury service. A great location, literally across the road from Central Park. 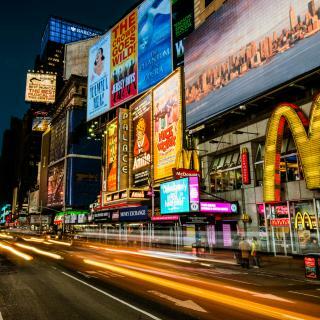 What are the best hotels in New York near Times Square? Some of the best hotels in New York near Times Square include Casablanca Hotel by Library Hotel Collection, citizenM New York Times Square and LUMA Hotel - Times Square. What hotels in New York are good for couples? These hotels in New York are highly rated by couples: Casablanca Hotel by Library Hotel Collection, The Greenwich Hotel and The Whitby Hotel. What are the best hotels to stay in New York? The Beekman, a Thompson Hotel, citizenM New York Times Square and LUMA Hotel - Times Square are some of the popular hotels in New York. What is the best neighbourhood to stay in New York? Manhattan, Harlem and Lower Manhattan are popular with other travellers visiting New York. What hotels in New York offer an especially good breakfast? For hotels in New York that serve up a highly-rated breakfast, try The Sherry Netherland, The Broome and Crosby Street Hotel. On average, it costs £113 per night to book a 3-star hotel in New York for tonight. You'll pay on average around £160 if you choose to stay in a 4-star hotel tonight, while a 5-star hotel in New York will cost around £347 (based on Booking.com prices). The average price per night for a 3-star hotel in New York this weekend is £251 or, for a 4-star hotel, £340. Looking for something even fancier? 5-star hotels in New York for this weekend cost on average around £643 per night (based on Booking.com prices). Which hotels in New York are good for families? Many families visiting New York loved staying at The Whitby Hotel, Baccarat Hotel and Residences New York and Hotel Giraffe by Library Hotel Collection. What are the best hotels in New York near John F. Kennedy International Airport? Travellers who stayed in New York near John F. Kennedy International Airport (JFK) have said good things about Best Western JFK Airport, Days Inn by Wyndham Jamaica / JFK Airport and Holiday Inn Express Kennedy Airport. How much does it cost to stay in a hotel in New York? On average, 3-star hotels in New York cost £147 per night, and 4-star hotels in New York are £206 per night. If you're looking for something really special, a 5-star hotel in New York can on average be found for £379 per night (based on Booking.com prices). What hotels in New York have nice views? citizenM New York Bowery, Hotel 50 Bowery and The Bowery Hotel have received great reviews from travellers in New York regarding the views from their hotel rooms. Amazing New York City is full of iconic architectural landmarks, cultural venues and stunning views. So why not explore the Big Apple to its core with a Broadway show, a game at Yankee Stadium or a ferry ride to the Statue of Liberty? 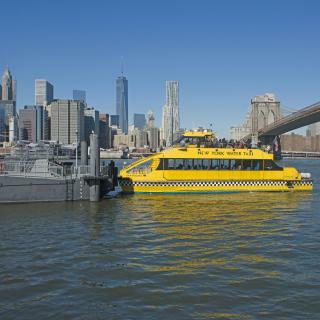 Whether you want to see chic Manhattan, culturally diverse Brooklyn or the birthplace of rap and hip hop in the Bronx, you can count on city’s reliable subway or iconic yellow cabs that will take you there in no time. Don’t forget to visit the top of the Empire State building and admire the great city panorama and iconic skyline. New York’s busy Times Square is the world's most visited tourist attraction and never fails to mesmerize with its impressive neon lights. Nearby Central Park attracts joggers, walkers and picnickers all year around who want a little break from NYC’s frenetic pace. The restaurants here are among the best in the world but be sure you try city’s famous hot dogs too. The Fifth Avenue and its luxury shopping is the place to be for all the Carrie Bradshaws and other fashionistas of the world. 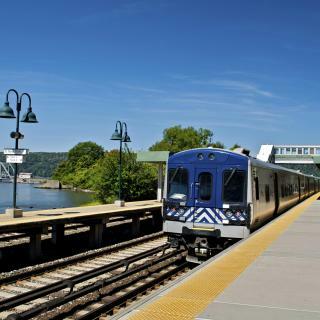 New York’s John F. Kennedy and LaGuardia airports make travelling to downtown easy and taking a train into Grand Central Station is yet another sight to see. From budget hostels, to trendy apartments, to top-notch luxury hotels, Booking.com offers a variety of accommodations so you will always find the best solution for your New York holiday. New York is always a great place to visit. New York is always a great place to visit. However, finding a good place to stay is important. This trip I made a big mistake and stayed at the Executive Hotel Le Soleil. What a terrible hotel. The rooms were left unserviced until after 6pm, and the staff at the front desk were very impolite. There was NEVER enough bathroom tissue or Kleenex in the room, which necessitated the daily call for extra supplies, which rarely arrived. Very poorly run hotel. I would not stay at this hotel again.....even if they offered me a free room. A suite and only one suitcase stand!! All the other suitcases on the floor, no dresser to put clothing inside. One small area to hang clothing. For the price charged, I expected more!!! I reserved a Cab through Mozio which picked us up at the airport and delivered us to the Hotel as per plan. We stayed at the ROW NYC hotel. The room was booked a couple months ahead of time. On Arrival we were given our room promptly and were soon shocked at the size of the room provided. It was the smallest on the floor. The room we booked was to be a superior room which did not meet that description. When I inquired about a room with a larger bed, I given the story that they were booked and there was nothing they could do even though I could go on line and book a room with a larger bed. Therefore our stay at the Hotel was very disappointing. On the brighter side we did see a couple of plays, toured the city, had some great meals and walked central park. Our way back to the airport was again through great service by Mozio. If I were to return I would be looking at a different Hotel and pay attention to the promised accommodations before accepting the room. It is a city that really never sleeps. Amazing city, that really never sleeps so make sure you get a quiet hotel room. There is always something to do, whether it's shopping on 5th ave or drinking a beer at the top of 230 Fifth - one of my favorite cities. Be sure to ride boats in Central Park and see all the turtles, and one evening grab a hot dog from Criff Dogs (go to the speakeasy through the telephone box inside) when you check out the lower east side. Every thing is great beside, Hotel Pensalvania . Please check room before you check in because if you see the room condistion you will check in different hotel even you will accept to stay in penn station siting on bench rather stay in Hotel Pensalvania. Worst experience . New York is fabulous any time of the year! The hotel was so comfortable that we did not want to leave! We stayed at Room Mate Grace Hotel at 45th St. We ate at Monte's Italian restaurant in the West Village and had Margaritas at Cafe Espanol on Bleecker St. Subway is the fastest way to get around, but taxis are a better way to travel at night. I would avoid the Times Square area tourist restaurants and go explore other areas. The best thing about the hotel Moxy is the staff! They are so friendly and caring. We had to leave New York early due to a medical problem and they were so kind and helpful. The manager spoke to us and even refunded the days we were missing which helped so much! The hotel is clean and modern and in a fantastic location. You can walk to Central Park, Rockerfella Centre, Empire State Building, Times Square and Macy’s etc. Smart, clean, comfy. Everything you’d expect from a nice hotel. We stayed here due to location (near Macy’s and Times Square) but in the end we walked the entire NY so it didn’t matter where the hotel was. We also stayed here because at the time they gave free breakfast to all. They since charge for it now but don’t worry, there are plenty of breakfast places nearby if you want something cheaper. The hotel was nice. After long days and lots of walking as you do in New York, it was lovely to get into an extremely comfortable bed with the best pillows ever. The bathroom was clean and had shower gel and shampoo. The breakfast was an added bonus to set you up for the day. The location is great, just around the corner from Times Square. Overall, it was ideal for my trip. I loved the atmosphere. It was centrally located to the things I wanted to do. We were there specifically to see a show on Broadway and with the polar vortex, it was great to be able to come in and make tea in the living room to warm up. The staff was also fantastic and welcoming every time we entered the hotel. It also had that walk-up charm that I crave in New York City! The location is outstanding with great access to the 1,2 and three trains. My favorite area of New York City is the upper West side because of all the shops neighborhood atmosphere and great food. The hotel is small and quaint and the bathroom has been updated. The room is small however there is plenty of storage and a big full-size closet for your clothes. Good location to visit the tourists spots near Times Square, even though nnt the most elegant part of Manhattan. Excellent beds and bathroom, very nice view from our high floor room, reasonably sized room for New York. Comfort and cleanness overall. Reasonable priced (for NY) cafe/restaurant especially in their day to day offers. While this is a no-frills, not fancy hotel property, the beds are comfortable, the shower is hot with plenty of water pressure, and the place is spotlessly clean. The staff are welcoming, and overall experience was excellent. I would definitely stay there again when visiting New York City. I like that I was able to cook in my room instead of going out to eat which is very costly. It was close to Time Square and all the attractions including bus terminal. Also was able to wash clothes as I checked in. If I come back New York City I personally prefer this hotel again. If you are looking for a hotel near Times Square and other touristy areas in Midtown this is a great choice. Very convenient but not right in the center of Times Square. We could easily avoid the hoards of people there when necessary. The beds were also comfortable. 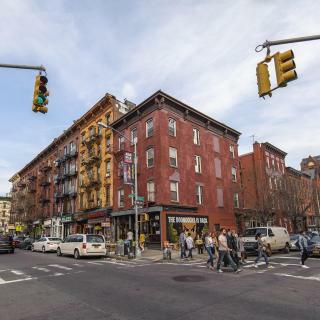 Great location, around the corner from rector st subway which gives you access to Times Square and other northern manhattan attractions in less than 15 mins. Very clean hotel and staff were very helpful! Great views of WTC and New Jersey from room window. Location is perfect right in Times Square!!! Check in was quick, the room and bathroom were clean. The staff were friendly and very quick with all requests. I recommend this hotel if you want to tour manhattan. Walking distance to most attractions. Superb hotel in the heart of Manhattan. Just a 10 minute walk to Times Square. The room was warm, clean and very comfortable. Staff were superb and very friendly. Can’t fault a thing! 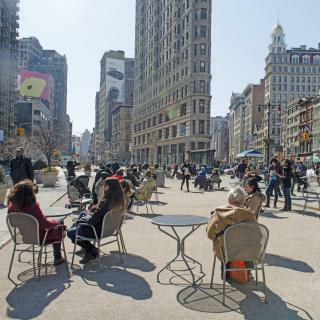 For New York City, the hotel has nice public outdoor spaces. We also booked a room with terrace. The terrace was very roomy, and beautiful view of the lit up buildings at night. Fantastic historical New York hotel with great views and a spacious room. Superb value for midtown Manhattan and great transport links to surrounding areas. Very close to Central Park and Times Square. Close proximity to subway made it easy to get around the city cheaply. Beautiful older hotel in the perfect location. I hope to stay here every visit to New York City! Good hotel and amazing location in the centre of New York city!